School’s out! The summer break has begun. Classes may be over and the students gone, but the school administration and staff are busily working behind the scenes to prepare for the upcoming school year. The preparations include the formation of 4 committees under Superintendent Ken Howard’s direction at the end-of-year meetings. The committees, comprised of teachers from all grade levels, will be concentrating on the areas of One-to-One Technology Exploration (personal device/smart phone usage in the classroom), a Review of the Philosophy/Mission/Vision, an Anti-Bullying Campaign, and a Review and Upgrade of the Crisis Management Procedure. Look forward to updates when the school year begins. Meanwhile, Summer Camp Director Dan Gottron and his crew are eager to welcome students when they arrive for the first day of camp on June 17th. Registrations are still being accepted for camps that have yet to reach capacity. We are so excited to add this program and look forward to creating a great experience for the campers! Also in the works is a Preschool Open House which will be held on Wednesday, July 17th. Interested families can drop in any time from 10:00am to 12:00pm to meet teachers, tour the building, and learn more about the K-3 and K-4 programs. Between the camps, the 3 weeks of summer sports practices for the secondary teams, and welcoming families to the Preschool Open House, the Trinity campus won’t be quiet for long! Always in the minds of our staff, coaches, and camp instructors is the desire to fan into flame the gift of God (2 Timothy 1:6) within each student entrusted to us. 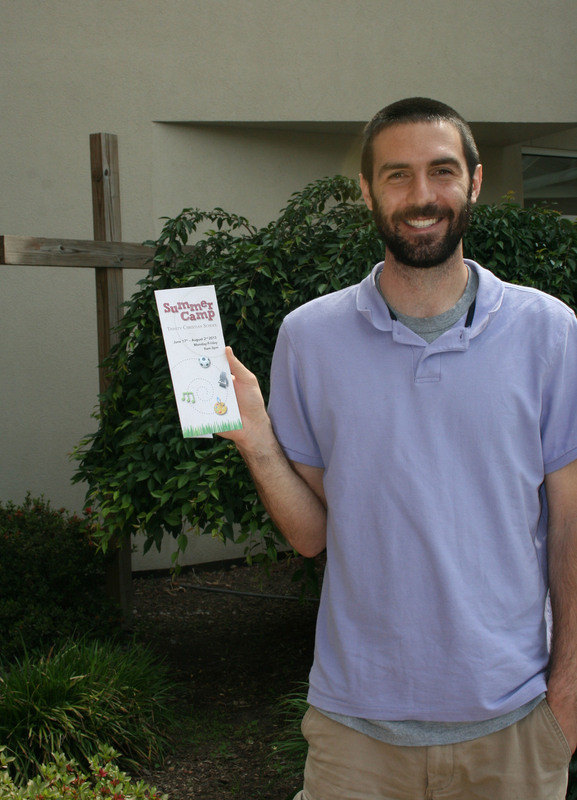 Summer Camp Director Dan Gottron can’t wait to greet campers at Trinity Summer Camp later this month. Trinity Christian School Preschool provides a great start for a child’s education! Please let your family and friends know that they are invited to our Preschool Open House on July 17th. 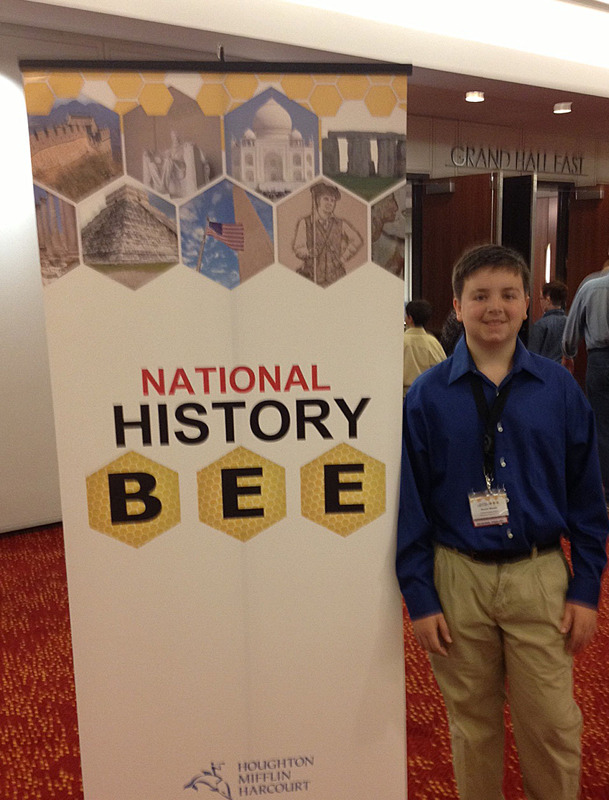 Daniel Woods did a great job representing Trinity Christian School and West Virginia at the National History Bee held in Atlanta. The Trinity Auction committee is working tirelessly to plan and create a memorable weekend filled with family fun for the upcoming Fall Benefit Auction. Pictured are just two of the classroom baskets to be sold at the auction. To keep up with all of the auction news, “like” the Trinity Christian School Auction on Facebook.